Usinas Siderúrgicas de Minas Gerais S.A. (Usiminas) has awarded to Danieli Corus the contract to replace converter #4 at Ipatinga integrated steelworks (BOF plant #2), in Brazil. This will be the seventh converter revamp project for Danieli and the first contract for such a project since the integration of Danieli Linz Technology into Danieli Corus. The converter vessel will be built by Usiminas Mecânica, subsidiary of Usiminas, with Danieli Corus providing design, supply of materials and supervision. 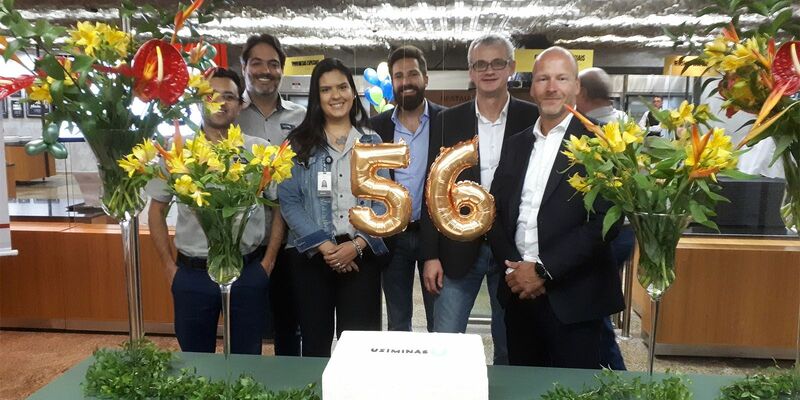 The contract was signed on the occasion of the 56th anniversary of the Ipatinga plant. The new 180-tonne converter will be equipped with an air-cooling system for the barrel part of the vessel and water-based cooling for the top cone. A Q-TEMP temperature-monitoring system and automation packages also will be installed as part of this revamp project. The first heat with the new converter is scheduled for early 2020.